I know this may sound like blasphemy to many, but I um...have never never been a fan of Kate Spade. In fact, I think that a lot of her stuff is kind of tacky. Recently, however, I fell madly in love with the Cobble Hill Satchel (especially in this gorgeous kelly green color). It retails for $348 at Nordstom and comes with a detachable shoulder strap. My issue with Kate Spade merchandise of the past was the price tag mixed with the quality. I just couldn't wrap my mind around spending four of five hundred dollars on a cloth patterned bag. I can also be very boring when it comes to clothing - I own at least twenty black boat-necked tops - but I just prefer a really good quality leather handbag in a classic color if I am going to spend that kind of money. This may be a necessity for fall. How soon is too soon to start asking for Christmas presents without sounding like a total jerk? August? Tip: I never buy anything before Googling it. 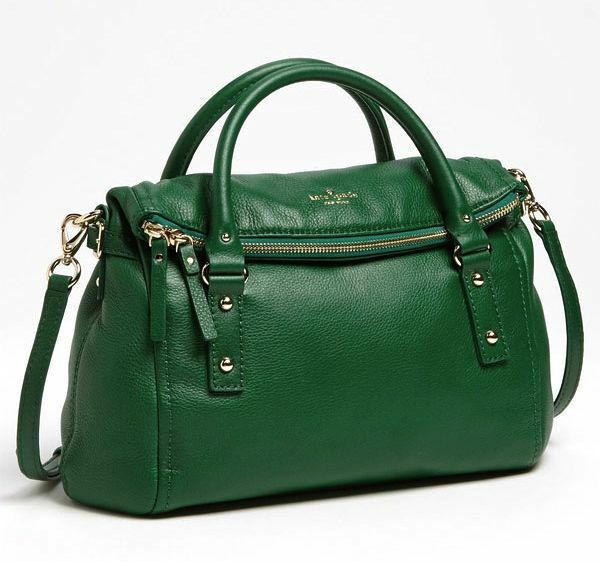 Just look up the brand and style (in this case I entered "Kate Spade Cobble Hill Satchel") and hit shopping under the search options. You can often find what you're looking for for less on sites like Zappos, Endless or Amazon. I also always check the website RetailMeNot for coupon codes and free shipping offers before making an online purchase. That bag is gorgeous. I hate kate spade as well. Well, not hate, I am just not a fan of her items. But, this, this is something special. I too always google and use retailmenot.com and couponcabin.com before any online purchase. I hate paying shipping. It is impractical. lol. I never pay shipping Lauren, LOL. I will stalk an item until the site has free shipping. Does that make us frugal? I think so..